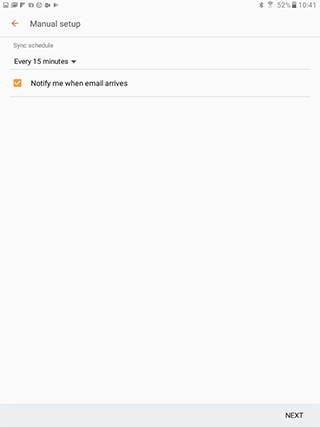 The following screenshots will assist you with setting up your mailbox on your Android device using POP. 1. 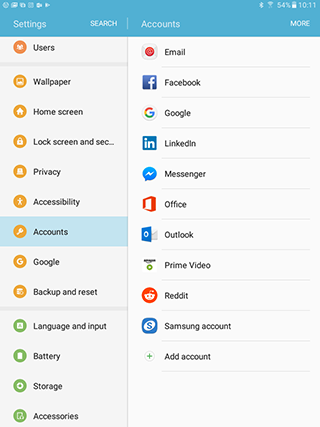 Select Settings from the home screen. 6. 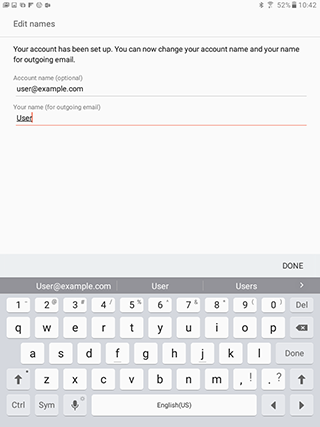 Fill in your Email address, username, and password. 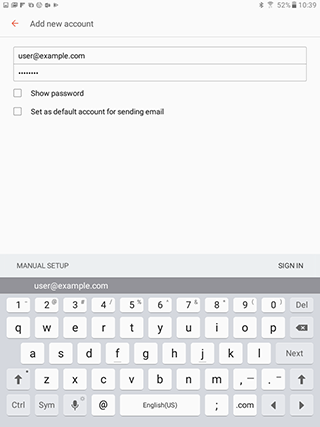 In most cases, the username will be the same as the address. 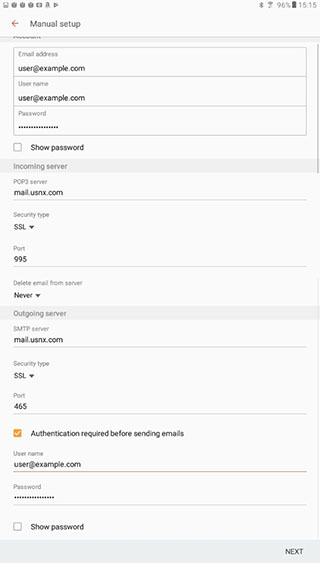 For POP3 Server, enter mail.usnx.com. 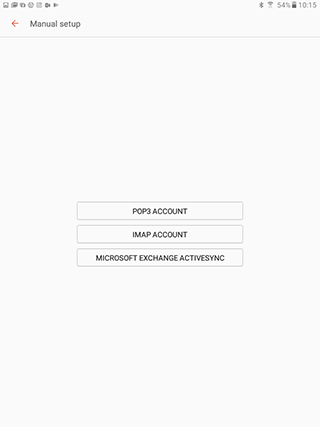 For SMTP server, enter the same thing as POP3 server n the incoming section. 11. 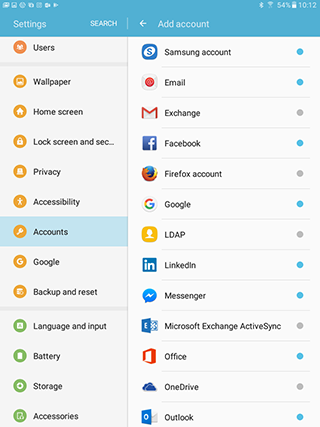 Verify the account name is as you would like it to appear in your account list (your email address is generally the best choice) and that Your name (for outgoing mail) contains your name as you would like to appear on messages you send from the device. 12. Click DONE to finish.